Last month, I was one of the judges of the ALCS award for educational writing for children. 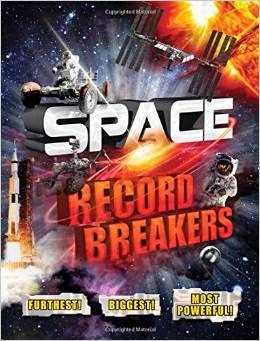 There are not many big prizes for children's non-fiction, so it's a very important award. The eligible books were those written for secondary-age children, published in English during 2012 or 2013. The age groups alternate every year, so next year it will be for books intended for readers of 5-11. Publishers - take note! Entries have to be in in June of this year. Contact ALCS or the Society of Authors to find out more. The prize-giving was in the House of Commons on 2nd December. I spoke about the shortlist and why we had chosen those books. And Tristram Hunt talked about Lauren Child, which was entirely irrelevant as she doesn't write non-fiction. Lots of books address the problems that plague young people. 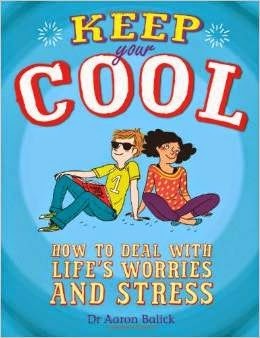 But this book goes further, in tackling the festering worry that makes everything even worse. It doesn’t just say ‘don’t worry’, but – much more importantly - tells you how to ‘not worry’. The illustrations feature a great ‘self-talk monster’ that speaks all those horrid things we say to ourselves – ‘you’re too fat/ugly/stupid/boring’, and so on. But it’s your monster – you can challenge or ignore it. 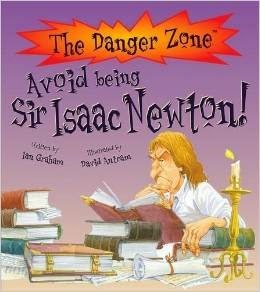 This really humanises an iconic figure, looking behind Newton’s famous achievements to show him as a person – and rather an odd one at that. Born prematurely, he almost died infancy. Life didn’t get much easier, and some of his problems were his own fault: he was stroppy, prone to tantrums, antisocial, and arrogant. If he was alive today, he’d be shut in his bedroom playing World of Warcraft. If you look carefully, you’ll see that on nearly every page Newton looks miserable or annoyed. This is an amazing fusion of text, images and design. 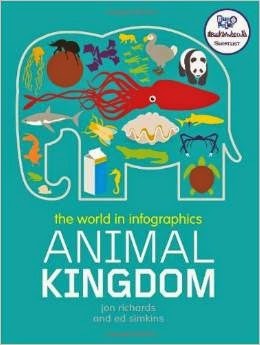 It’s a book with great ‘Oh wow!’-potential, crammed with really useful facts – such as that a blue whale eats the weight of three cars in krill each day, or that that you couldn’t outrun a squid, which can speed along at 40 km/hr. This book is especially good as it’s accessible to readers of all levels of competence and confidence. A struggling reader can dip into it, and just a few words will reward their effort. A keen reader will devour it. 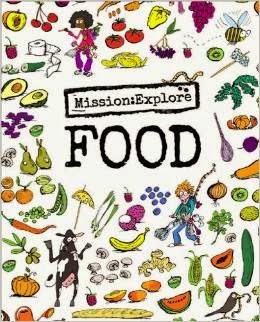 Food is let out of the cupboard and runs riot over the page in a series of ‘missions’ that range from getting an onion to escape from a maze to making cheese. It covers how food is grown and produced, cooked, eaten, processed by the body (that’s a good yukky bit) and finally decomposes and is recycled to grow more food. Some of the missions produce tasty outcomes, and some produce a right mess. Some pages are packed, with lots to explore; others give illustrated instructions; and some are largely blank, templates for recording discoveries. They are all great books and the winner - Animal Kingdom - especially so. So let's sing their praises and encourage young people to read them. But there are a few problems. One of the shortlisted writers told me he had been to both Waterstone's and Foyles when the shortlist was announced to take a look at the other titles. Neither shop had any of the shortlisted books. But why? Forty per cent of all 8-11 year olds who read outside school each day read non-fiction, and sales of children’s non-fiction have risen by 36% since last year.The kids clearly know a good thing when they see it. The shortlisted books are all brilliant. They look lovely; they use innovative design and all are illustrated with real, commissioned pictures, not just the usual photo-library munge we've seen a hundred times before. Why are these books not in bookshops? Why are books that are liked by 40% of children given only about 10% of the shelf-space? Children enjoy reading - and should be encouraged to read - both fiction and non-fiction books.Let's give the chance to do so. The possible reasons for those big bookshops not having the titles are that most booksellers assume that all children's books are fiction and that when they do get in non fiction they don't know what to do with it. Kids certainly do love non fiction, but the chances of their finding any individual title in a bookshop display are low. It's why so few trade publishers are buying non fic these days, here in Australia anyway. Over the last few years, most of the shortlisted books in the Eve Pownall Award, the non fiction section of the Children's Book Council Awards, have been published by museums and other such organisations. Museums can stick them in their specialised bookshops and have a good chance of selling them. Thanks for this, Anne - will be sending for the Animal Kingdom one for my elder grandson. I was looking in a bookshop the other day for a non-fiction book for the younger one, who's three. He loves books with spreads with lots of things for him to look at and muse over - a bit like the Richard Scarry ones used to be. I couldn't find anything that was right for him - there were non-fiction books, but nothing like the range of fiction. He lives in Belgium, and when it was his birthday he was given some beautiful French non-fiction - I haven't been into a book shop there lately, so I don't know if they have more generally, but I was very impressed by the standard. Sue, had you thought about Pippa Goodhart's You Choose for your grandson? I don't know what you would call it regarding fiction/non-fiction as it has lots of things to look at, discuss and choose between, which sounds like the kind of thing he would like. It's pretty hard to sell pre-school non-fiction to publishers in this country, so I'm not surprised you are finding better books abroad. It's a shame, though. I got You Choose for Oskar, the older one, and he really enjoyed it. But good idea - Casper would probably like it too. I love the look of these. Thanks, Anne!